The Bible says in 1 John that the whole world lies in darkness; THE WHOLE WORLD. This refers to COMPLETE CONFUSION AND MYSTIFICATION about spiritual things; WHY WE ARE HERE, what happens when we die, and what life is all about. The unsaved live solely for self-gratification, and life is spent fulfilling the lusts of the flesh, seeking pleasure and self-promotion WITHOUT A CLUE as to the real issues of life. The Bible calls this WALKING IN DARKNESS. 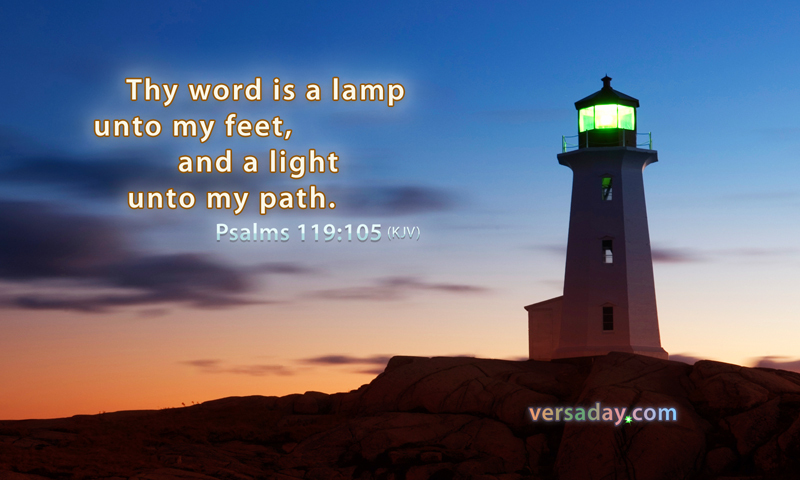 In this dark night of the soul, God has given us LIGHT TO GUIDE US; His precious word, the Bible. It is THE ONLY SPIRITUAL LIGHT ON OUR PATH and it leads us the one who is THE LIGHT OF THE WORLD; JESUS CHRIST OUR LORD.